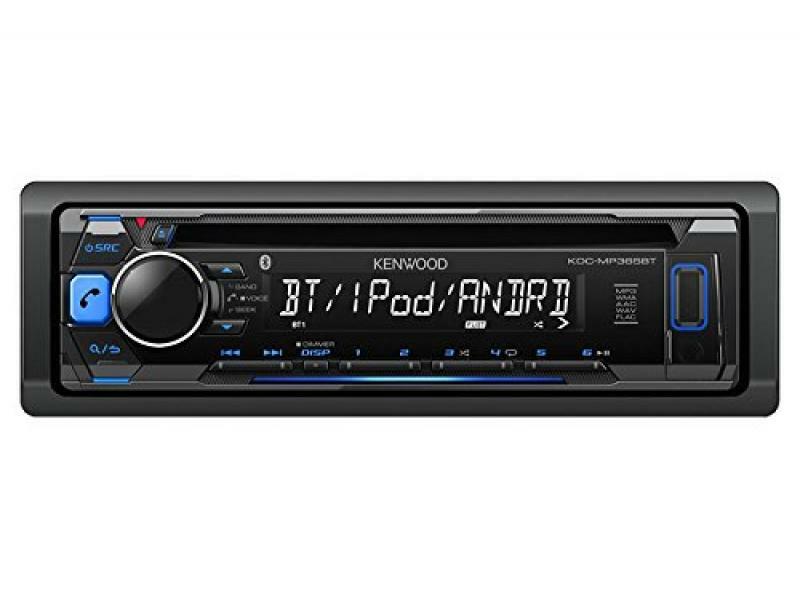 Single DIN AptX Bluetooth In-Dash CD/AM/FM Receiver with Android/iPhone Compatibility. CD/CD-R/RW, MP3/WMA/AAC/WAV. AM/FM tuner with 18FM/6AM presets. Single DIN AptX Bluetooth In-Dash CD/AM/FM Receiver with Android/iPhone Compatibility. CD/CD-R/RW, MP3/WMA/AAC/WAV. AM/FM tuner with 18FM/6AM presets. iPod and iPhone Ready. Built-in Android AOA control and charging of select Android devices using the USB connection. Front USB Input. AptX audio coding technology provides near CD-quality sound.